Add a layer of visual intensity to the room by incorporating gloss on an accent wall. The shine will make the wall pop and add character to the room. You can even apply the gloss to the ceiling or floor to make add emphasize on the color of your choice. This can allow a little bit of color to make a significant impact on the room’s design. Typically, we turn to color to add character to a room. With gloss, you can add a sheen to a neutral color like white or black. This can take a bland space and help showcase items like furniture. 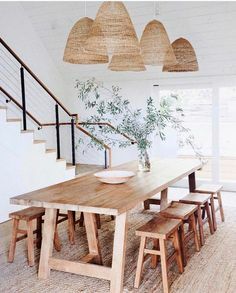 Try using this to transform your home and add life to neutral palette spaces. Adding gloss can easily add a luxurious finish to a contemporary or mid-century modern atmosphere. Gloss can enhance your space. 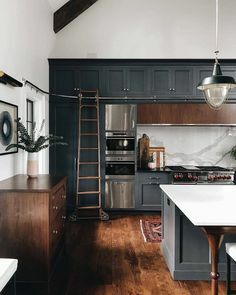 Typically, dark colors can make a room feel small and less lit. High gloss can still push light around the room with very dark colors. 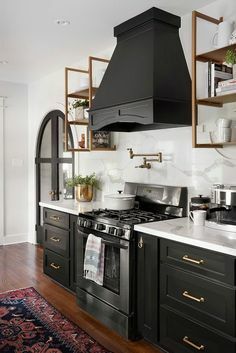 Think of highly reflective black marble or onyx countertops– this black should make the room feel smaller, yet, with the high gloss finish, the sheen allows light to travel freely throughout the space. This can let you use dark colors without hurting the atmosphere. Incorporating gloss into your design is an excellent choice. Since colors can be very impactful, you can learn to use them and their hues can help you accentuate your space.